Today’s short, sharp and shocking tale begins with a simple declaration of fact: Beth Parson is dead. She’s been dead for over a century, in fact. But Beth’s favorite toy — the one her family supposedly had buried with her — is very much alive. At least that’s the belief of the people who recorded the footage I’ve embedded in today’s column… and they apparently weren’t the first to make this claim. 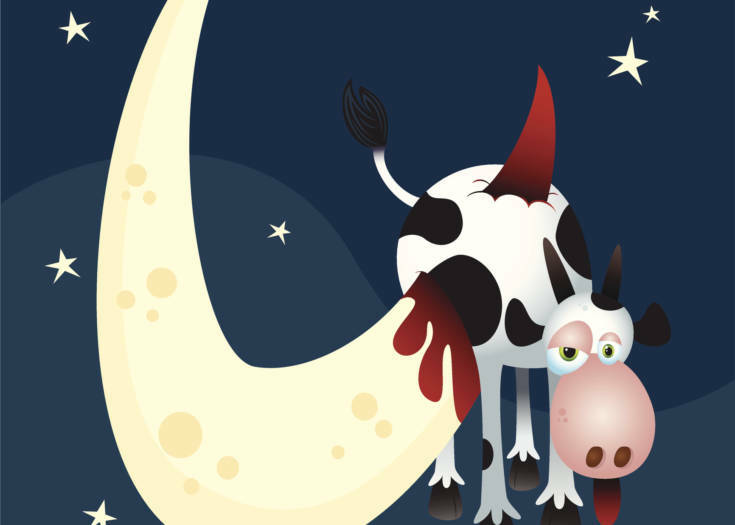 This kind of tale is not uncommon among creepypastas, and it’s not unlike many unexplained mysteries we’ve seen passed down over many generations. This variation begins before the availability of modern vaccines and other medical advances — in an age when child mortality rates were far higher than they are today. 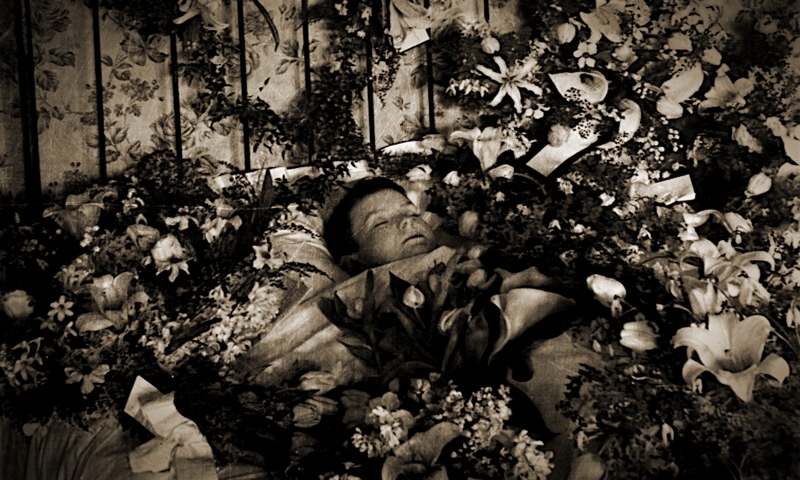 In those days, two common traditions accompanied the death and burial of a child: first, the strange practice of photographing the child’s corpse, dressed in their burial clothes (this has been abandoned today, at least in most cultures); second, the choice to bury the child with their most cherished possession — typically their favorite doll, blanket or other toy. Such was the case of Beth Parson — an angelic little girl whose death at the tender age of four devastated her family and tore a small farming community apart. The exact cause of Beth’s demise has not been recorded, but the most common account was that she succumbed to diptheria in 1907. Per regional tradition, Beth was photographed post-mortem, and before her tiny coffin was sealed, her mother put her favorite doll inside, gently placing it in her daughter’s stiff, cold hands. One thing some folks found peculiar about Beth’s doll was how closely it resembled her — down to her hair and eye color. The hand-carved figure, clothed in a tiny canary-yellow dress, had been purchased from a door-to-door salesman as a gift for Beth’s third birthday, and she seldom let it out of her sight, spending hours on the porch swing talking to it, clutching it tightly every night… much like she held it in death. 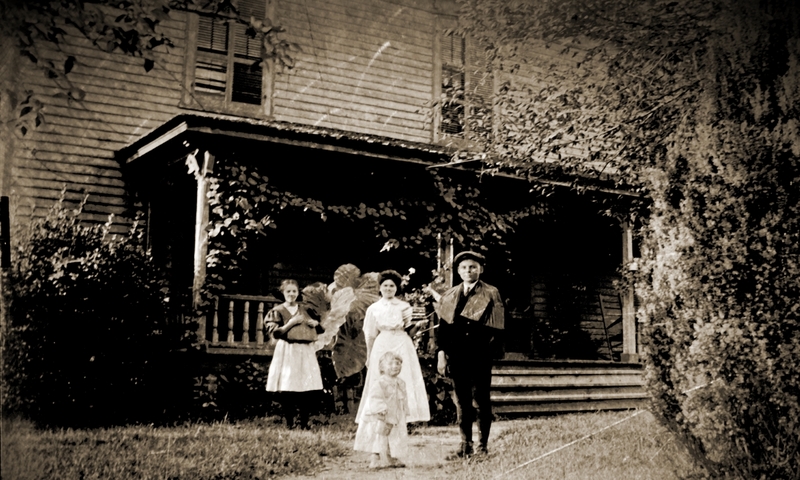 According to local legend, just two weeks after Beth Parson’s funeral, the doll was found in a sitting position on the porch swing of the Parson house. The deceased child’s father found the doll there, and surmised that perhaps his wife had placed the wrong doll in Beth’s coffin, instead of this one. With as little fuss as possible, and concealing his actions from his inconsolable spouse, the man dug up the fresh grave and opened the casket… only to discover there was in fact no doll of any kind buried with the girl. The man told himself he must have only thought his wife put the doll in there, and in her grief had forgotten to do it. The mind of a bereaved parent is too unreliable, he figured. Just a little over a week after the reburial, the doll appeared again — caked with dirt, its bright yellow dress stained muddy brown — on a chair in Beth’s old bedroom. Needless to say, Beth’s father could not hide this from his wife this time… and he was becoming increasingly convinced his grief was causing his own mind to play tricks. Perhaps he only thought he’d placed the doll in the coffin, and instead might have simply placed it outside somewhere. His wife began to suspect something less pragmatic, however… and insisted the local minister bless the doll before they returned it to the grave again. The minister was present at the reburial this time, and his own journal corroborates the story. Shortly after this incident, the Parson family is said to have donated the doll to charity — but even then it’s been said the doll would seemingly “abandon” its subsequent owners and appear in various locations around the Parson house. 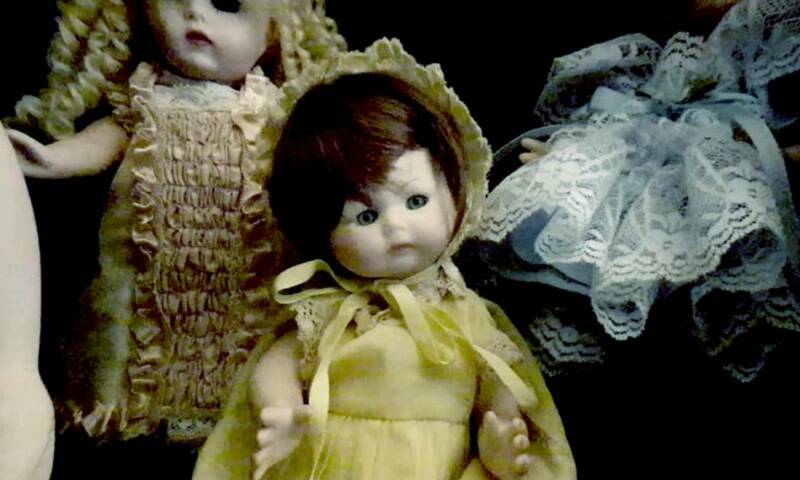 When Mrs. Parsons died, she left no other children, and the doll was purchased at an estate sale. The house was torn down shortly afterward, and the doll is said to have passed from one antique collector to another — each one claiming it had a tendency to “wander” on its own. One of these owners, Clarita Bennett of Torrance, CA, was a curator of allegedly haunted or possessed artifacts, and purchased the doll in the late 1980s, touching up its many chips and scratches, and replacing its rotting hair and moldy clothing. 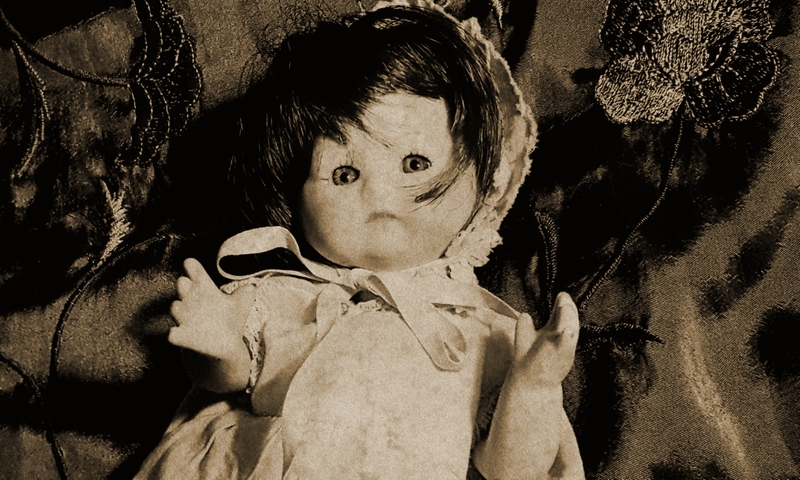 During the doll’s brief “stay” at Bennett’s in-home museum, she set up a hidden camera in an attempt to document its occasionally strange behavior — as she had done with many other allegedly haunted artifacts which she claimed to move under their own power. 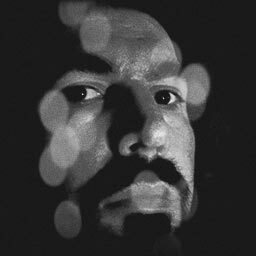 Bennett passed away in August 1992, and since then that footage — or at least what is claimed to be — has been shared on paranormal websites since early 1997. The following clip is believed to be an excerpt from a critical moment in that recording. 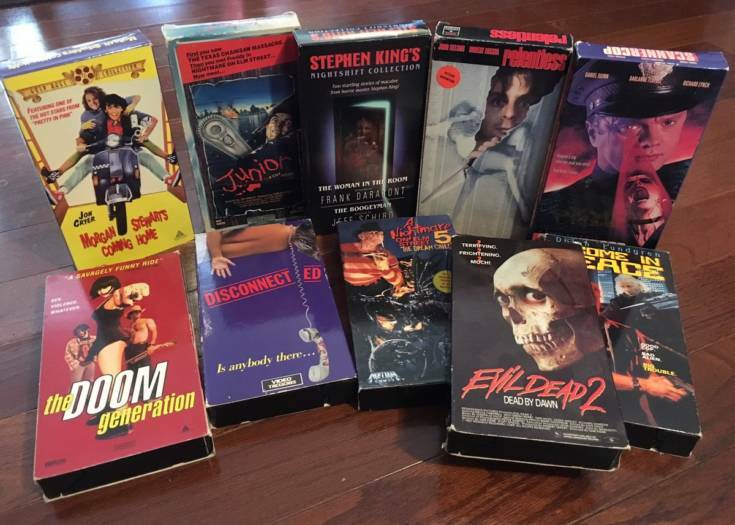 Next Story VIDEO: A Tribute To The Long Lost Horrors Uncovered On VHS!